A couple weeks ago my husband and I decided that we were ready for a big change. We had tried to eat better in the past, but we were ready for something that would drastically change our lifestyle for the better. When we first began, we simply decided to cut out breads and sugar. Not going in with a game plan usually isn’t a good idea but we just wanted to start something. Anything. It was pretty quickly when we stumbled upon the ketogenic diet (keto). Keto is a low carb, high fat eating plan. Personally, I try to keep my carbs under 20 grams daily and usually keep them under 10. The hardest part of keto isn’t reading food labels to see all those sneaky carbs, but to get enough fat and protein. It almost seems wrong that I’m losing weight and eating a bacon cheeseburger for dinner…but you know what? It’s working for us! Along with weight loss, there are lots of other great changes my body is experiencing since cutting down carbs and sugar. I’ve had dark circles under my eyes for as long as I can remember. Nothing seems to cover them and I’ve been accepting that this is just how it is. In just a few days I noticed they were lightening up and my eyes were brighter. Cutting out sugar really helps avoid random crashes throughout the day. I wake up sleepy but not exhausted like I typically would. At night I find myself sleeping more soundly and comfortably. A great thing about keto is that it severely reduces my appetite. As a stay at home mom, this is really helpful. I cook many times a day and sometimes it’s just really hard not to be snacking while I’m around all that food. In the morning, heavy cream and coffee usually can hold me until around 1pm when I decide to eat lunch. I also don’t get those hunger surges that make me want to eat everything in sight. Sometimes I’ll make a salad and brat and only eat half…but I’m actually full. Within a few days of starting my skin seemed to take on a gently glowy feature. I’m sure the water had a big part in this. Usually it’s dull and once in a while gets a few blemishes but they have been a lot less frequent and my skin just looks healthier. What’s interesting about keto versus some other diets is that if you go off of it, you’ll likely regret it physically. Not only will gorging yourself on a giant pizza or cookies potentially knock you out of fat burning ketosis, it can really cause some not so fun digestive side effects. The great thing though, is that there are so many delicious keto-friendly foods that actually make me feel good! It’s hard to see myself not sticking to it for a long time. Wow, that’s so wonderful! You’re so close 🙂 I’ve been working on keeping track of those things as motivation and a reminder of where I don’t want to end up again. 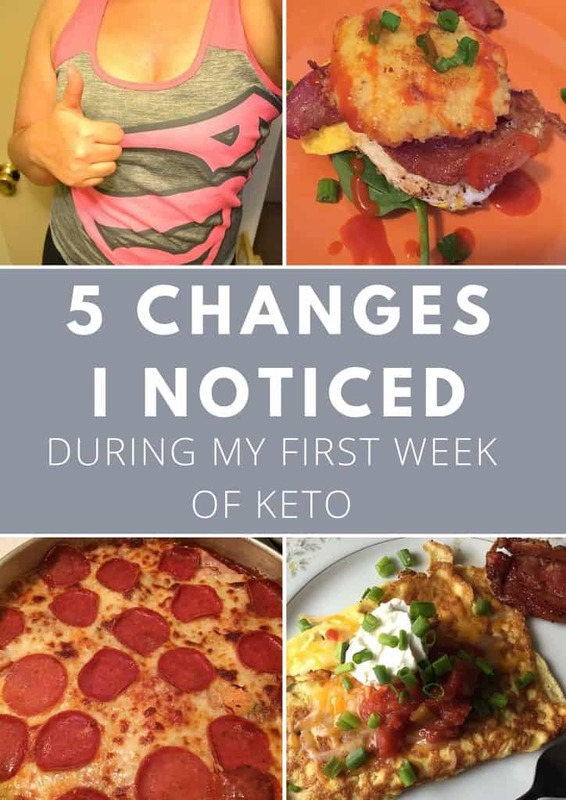 I really love the keto community and I’m excited to learn more and be inspired by the lifestyle changes of others. Thanks for stopping by! I just started keto today. Are you keeping track of your macros? Not sure if I should be tracking and hitting those numbers. I sure do. Feel free to email me or DM me on instagram @heyketomama and I’ll do my best to help! Mind if I DM you? My husband and i just started yesterday and we are super excited for this journey. Feel free to email me or send me a DM on instagram anytime!